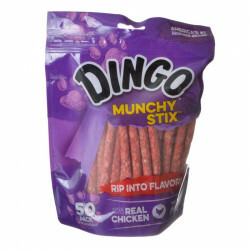 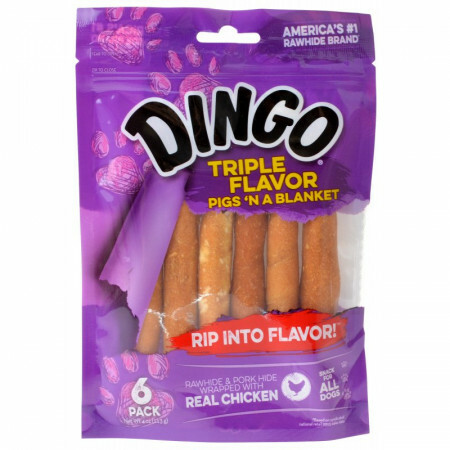 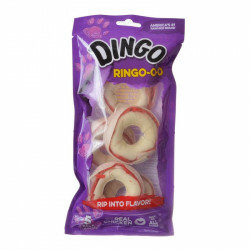 Dingo Triple Flavor Pigs 'n a Blanket are crafted with natural rawhide and pork hide, and wrapped in real chicken to provide a real meaty flavor that drives dogs wild! 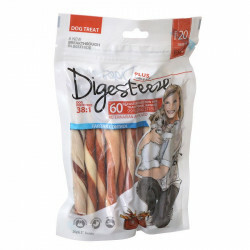 These gourmet dog chews help reduce tartar buildup and promote better dental hygiene while satisfying your dog's urge to chew. 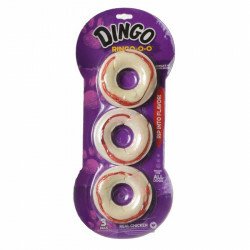 Ingredients: Wheat Flour, Glycerin, Rawhide, Chicken, Pork Hide, Salt, Potassium Sorbate (preservative), FD&C Red #40, FD&C Yellow #6, FD&C Blue #1.